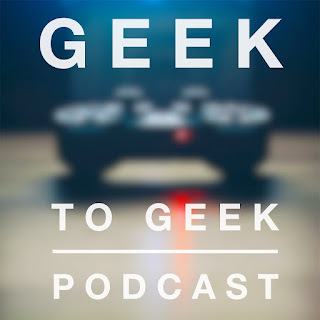 Another Geek to Geek podcast is out for your listening pleasure! This week we're talking DC Superheroes just in time for the latest superhero movie! Arrow, the Flash, and the current slew of DC comics TV shows. DC’s take on a cinematic universe (or is this take 2, given the Nolanverse?). The grimdark feel is here to stay--but is that a good thing? In related stories, this low-budget, low-hype movie called Batman v Superman releases today. Have you heard of it? DC’s video games, namely the Batman: Arkham series. Void and Beej give their Weekly Geekery recommendations about what they’ve been geeking out on all week long. Health Hack: You can bake Quest protein bars and turn them into cookies!